Over 70% of the water supply in Ireland is hard water, so dealing with limescale is an issue in many Irish homes. Here we explain how you can easily remove and prevent limescale in your home and deal with hard water problems. L imescale is a hard white crust that forms inside kettles or on taps in hard water areas. This residue is left behind when hard water is left to stand and evaporate. Soft water contains fewer impurities than hard water because it runs through rock such as granite or slate, while hard water runs through porous rock such as chalk and limestone, picking up minerals that form limescale. When hard water is heated or left to stand, the dissolved minerals in the water solidify and form limescale. 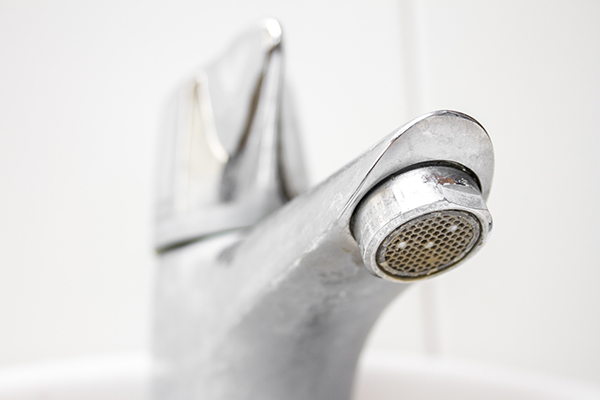 Limescale can cause problems in a number of areas in your home, from minor to major issues. Blocked heating pipes, shower heads and taps. Loss of water pressure due to reduced pipe diameter. Bacterial growth in drinking water pipes. Frequent repairs or replacement of household appliances such as kettles and washing machines. Loss of energy in the hot water systems and increased heating costs. Less effective detergents, resulting in clothes that look dirty even after being washed. White residue and dull surfaces in the bathroom and kitchen. Limescale can be stubborn to remove but with our tips and a little elbow grease, it can be done. We’ve also included some prevention tips below, because dealing with hard water before limescale becomes an issue is the best option. Limescale can be dissolved with a range of mildly acidic items you can find in your home, such as lemon juice and vinegar. Use lemon juice to remove limescale from a shower head, taps, tiles and smooth surfaces. Not only will this remove the limescale but it will also leave your bathroom or kitchen smelling fresh and clean. Remove limescale from your kettle by using a half cup of white vinegar and a half cup of water. Bring the solution to a boil and leave it to sit in the kettle overnight. The next morning, the limescale will rinse away. Depending on the hardness of your water, this may need to be done once a week to keep your kettle running efficiently. For your washing machine, use a non-precipitating softener tablet. This will prevent limescale blocking the internal workings of your machine. It will also help the detergent clean clothes more efficiently. For your pipes you can use a magnetic descaler, which is a clever device that clamps onto the outside of pipework. The magnetic field alters the characteristics of the minerals in the water, making them lose their ability to adhere to pipes and form limescale. Carbon water filters in taps and jugs use carbon to soften water. Tap filters can be fitted directly under a tap to supply fresh, clean drinking water. For central heating systems, the addition of a chemical inhibitor specially designed for central heating systems will prevent limescale. 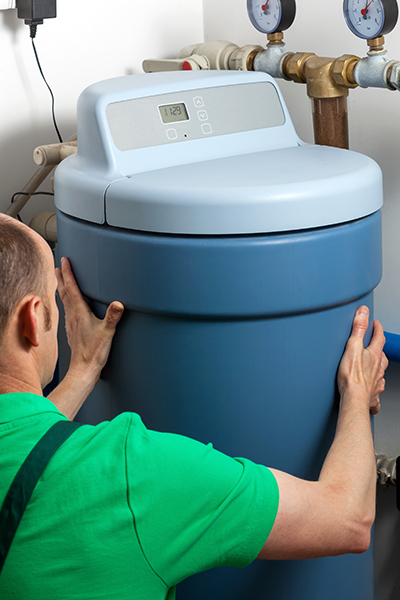 For a more permanent solution to hard water problems and limescale, consider purchasing a water softener. These softeners do not remove the minerals that cause hardness in water but do prevent them from adhering to surfaces. These softeners can be installed in the main water supply, therefore protecting your whole home. Preventing limescale will help your home run more efficiently. For more help, visit your local Topline store.